A pretty cool course at a private community in rural Maryland (you need a community parking pass to park). Pro tees marked with numbered white cups and Am tees with little orange flags. Having the map will help you navigate the transition over the parking lot to tee #6 and then again from 7 to 8's tee (with a little walk up the hill). Overgrowth in the summer > long pants and bug spray. 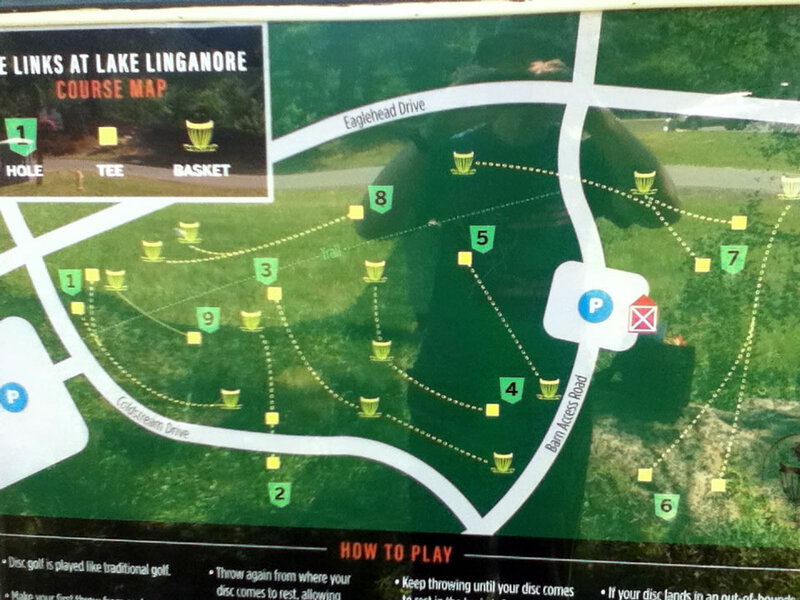 Have you played at Lake Linganore Disc Golf Course? Be the first person to review this course!